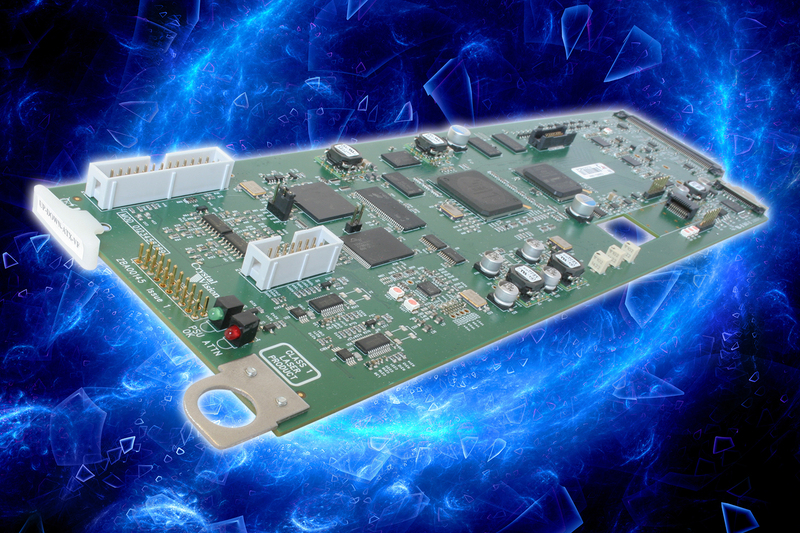 3G/HD/SD up/down/cross converter with embedded audio handling and routing, AFD functionality, timecode conversion and transport of teletext and closed captions. Packed with features, it can perform two different conversions at the same time – with the dual outputs making it easy to get both HD and SD copies of the feed – and gives the output picture quality that broadcasters standardise on. You'll get the most outputs we've ever offered plus more features for your money. Up, down or cross converting sources (particularly those containing AFD info, timecode, teletext or closed captions) that demand the highest quality conversion, and perfect for studios and playout areas that need to operate in HD and SD simultaneously. See who's using our up and down converters. Try out the UP-DOWN-ATX-VF VisionWeb demo (opens in new window) – you'll see how easy it is to operate the UP-DOWN-ATX-VF from your web browser, while exploring the full functionality of the product. UP-DOWN-ATX-VF allows flexible up, down and cross conversions between 3Gb/s, HD and SD sources, gives the output picture quality that broadcasters standardise on, and can perform two different conversions at the same time – providing configurable dual outputs and perfect for studios and playout areas that need to operate in HD and SD simultaneously. With four up/down/cross converters available in the Vision range, UP-DOWN-ATX-VF is the converter to choose for applications requiring data handling where signal timing is not required. UP-DOWN-ATX-VF wins side-by-side evaluations on the quality of its up conversion. A good up converter will create an HD picture that is as good as the original SD picture. That is all that can be achieved – and it often isn't. Many up converters will create an HD signal that looks significantly worse than the original SD material. Pictures containing horizontal movement and a high level of detail are common in many television applications and require careful processing. High quality de-interlacing is the key to good up conversion. UP-DOWN-ATX-VF's up and cross conversion uses motion adaptive video de-interlacing, which maximises the picture’s vertical resolution while choosing the best processing method based on the video content. The vertical resolution of the picture is doubled by considering both fields, and even if the picture has moved during the time delay between the two fields, UP-DOWN-AS-VF's movement detection allows it to use the full vertical resolution available – therefore preserving the detail. Adjustable detail enhancement and noise reduction are also available. Up converting will give an apparently softer picture and therefore adjustable detail enhancement allows the image to be sharpened without ringing, with the options of using either the Fine detail enhancement to apply sharpening to the entire image, or the Edge enhancement to apply sharpening only to object edges. Noise reduction ensures that MPEG encoders do not waste unnecessary bandwidth on detail that is not really part of the picture. 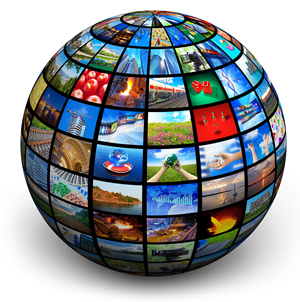 Crystal Vision down conversion has been tested by many of the world’s largest broadcasters and then selected because of the quality of the conversion. A High Definition picture with a lot of detail is surprisingly difficult to down convert well. This process is helped by a good de-interlacer, but is dependent on the quality of the horizontal and vertical filters. Ideally you want a perfect filter that will keep everything that can be shown in the Standard Definition bandwidth and remove everything that cannot. If the filter is less than perfect you get a soft picture (some of the picture unnecessarily removed) and aliasing (frequencies that are out of band for SD, creating false imaging). UP-DOWN-ATX-VF features Crystal Vision’s acclaimed proprietary down conversion, which avoids aliasing while retaining picture sharpness thanks to the sophisticated two dimensional filtering. Enhanced motion adaptive video de-interlacing can remove ‘jaggies’ on near horizontal lines, such as the lines on a tennis court or football ground, while horizontal and vertical low pass filtering can reduce the flickering of a slow vertical pan on shots with significant detail. For further picture improvements there is a video proc-amp, with RGB and YUV lift and gain controls allowing independent digital image adjustments in both the RGB and YUV domains to help maintain colour fidelity. UP-DOWN-ATX-VF can perform two conversions at the same time, with two separate converters on the card: one is used for the up and cross conversion, with the other used for the down conversion. This makes it the perfect up/down/cross converter for the installations that work in multiple definitions: it allows them to simultaneously create HD and SD copies of a feed from this one card and so easily fulfil their requirement to offer both HD and SD programming. UP-DOWN-ATX-VF gives dual outputs, with two output groups – 1 and 2. Each output group can be individually selected as either SD or 3G/HD, making it possible to configure both outputs as SD, both outputs as 3G/HD (720p, 1080i or 1080p), or one output as 3G/HD with the other as SD. If Outputs 1 and 2 are both selected as 3G or HD, then the outputs will be identical. Providing up to three copies of each output also reduces the need for additional distribution amplifiers in the system. One of UP-DOWN-ATX-VF's particularly powerful features is that it will constantly put out HD and SD on the same pins regardless of the input, thanks to its smart routing. Once set, the output selection will remain true irrespective of any change in the input format – which means you won’t need to change your wiring. Individual controls allow you to correctly time the outputs into your HD and SD systems. It’s easy for the signals to all have the same timing if required: each output can either be converted from the input or given a matching delay. UP-DOWN-ATX-VF can be used with up to four audio groups – making it ideal as your main signal path up/down/cross converter if you're working with embedded audio. It will de-embed the four groups and convert them to the appropriate format before re-embedding them. UP-DOWN-ATX-VF has the ability to deal with any aspect ratio conversion requirements when up and down converting. A multitude of different aspect ratio conversions are available, meaning that UP-DOWN-ATX-VF can deal with any conceivable misshaped image that comes in, allowing you to quickly put anything on air that you get from anywhere in any condition. (See the specification for full list of conversions.) Each of the standard aspect ratios can be individually adjusted away from the default values to create customised versions by using independent sets of size, position and crop controls. UP-DOWN-ATX-VF also ensures the picture is the right shape at all times by coping with both analogue and digital SD blanking widths – which prevents an HD signal having black lines down the side when up converting, and prevents SD signals from losing the sides of the picture when down converting. UP-DOWN-ATX-VF can be used as an SD to SD aspect ratio converter if required – useful for those who need to change the aspect ratio of their Standard Definition sources and prefer to buy an up converter (rather than a dedicated ARC) as a long-term purchase. UP-DOWN-ATX-VF can be used as an HD to HD aspect ratio converter for when the HD input and output formats are identical. This is useful for anyone with signals that were up converted using the wrong aspect ratio, resulting in an HD image that is too squashed, stretched or cropped. UP-DOWN-ATX-VF additionally offers AFD code activated aspect ratio conversion. HD programmes are often made of a mixture of true High Definition sources and SD-originated sources that have been up converted, and the AFD data in the signal gives information about which areas of the screen contain a picture and which areas have black ‘padding’. It can also be used to provide picture format information to downstream equipment, by inserting SMPTE 2016 AFD data, Video index and WSS into the video output – either manually or by following the incoming AFD. On top of the minimum delay of one frame, a variable video delay of up to one frame allows UP-DOWN-ATX-VF to compensate for video delays generated by other equipment. There are three time-based controls to adjust the output timing: 0 - 40ms (adjustable in 0.1ms steps), 0 - 100us (adjustable in 1us steps) and 0 - 1us (adjustable in 5ns steps), with independent timing adjustments for each supported video format. UP-DOWN-ATX-VF provides audio routing by stereo channel pair. The 8 x 8 stereo router allows the order of the embedded audio to be shuffled between all four groups and means you can select which of the audio groups are embedded in the output stream – useful for those working with one group of audio in SD and two groups in HD. Stereo pairs can also be muted. UP-DOWN-ATX-VF has video and audio signal probe functionality making it useful for flagging up faulty signals, especially in multi-channel applications. It can monitor a wide range of parameters including video format and presence, video black, video frozen, audio present, audio silent and Dolby E present, with the card able to provide warnings of any problems via SNMP traps. UP-DOWN-ATX-VF can pass Ancillary Timecode from the input to the output and use the ATC data to get the interlace phasing correct when down converting from 1080p or 720p. UP-DOWN-ATX-VF can also provide conversion of timecode. When up converting it can read Digital Vertical Interval Timecode (DVITC, SMPTE 266M-2002) on the SD input and translate it to Ancillary Timecode (ATC, SMPTE 12M-2-2008) on the HD output. When down converting it can take in timecode as ATC ancillary data and generate a DVITC analogue timecode waveform on the SD output. UP-DOWN-ATX-VF can carry teletext and subtitle information across different definitions. It supports both OP-47 and SMPTE 2031 which are ways of transporting teletext data in HD or 3Gb/s video. When up converting it will take the teletext data out of the analogue-style coded signal and put the same data in the OP-47 or SMPTE 2031 data stream it creates. (An HD output can only contain SMPTE 2031 or OP-47, not both.) When down converting it can take teletext data out of OP-47 or SMPTE 2031 packets and encode it as analogue waveforms on an SD output. 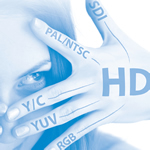 If going from HD to HD, it can be used to convert from SMPTE 2031 to OP-47 or vice versa. It is also possible to specify which line in the VANC space is used to carry SMPTE 2031 or OP-47, an advantage given the increasingly crowded VANC space. UP-DOWN-ATX-VF includes the ability to transport closed captions, which provide additional or interpretive information to viewers who wish to access it – such as subtitles, audio description or an alternative language. If you need to up and down convert signals from beyond your local equipment bay, it’s easy to give UP-DOWN-ATX-VF integrated fibre connectivity. Just order either the FIP-VF fibre input option, FOP-VF fibre output option or FIO-VF fibre input and output option. Designed for SMPTE 297-2006 short-haul applications, the FIP-VF is used to receive an optical input and the FOP-VF to transmit an optical output using a Class 1 laser. 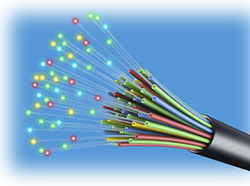 The FIO-VF can do both – giving you simultaneous fibre input and output. With a FIP-VF or FIO-VF fitted you can select your video input source to be taken either from the input BNC or the optical input. Having the fibre integral to the board reduces the need to use up additional rack space for separate fibre optic transmitters and receivers – as well as saving you money. UP-DOWN-ATX-VF can also support a CWDM laser if required. See the REMOTE CONTROL section of the Specification for the extensive list of features that can be controlled and monitored. 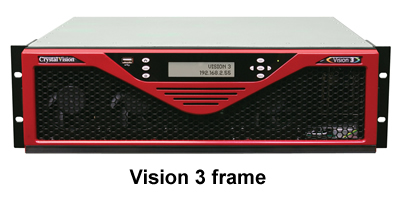 Fitting in the standard Vision frames (currently available in 3U size), UP-DOWN-ATX-VF is a space-saving 96mm x 325mm card that sits in one frame slot - allowing up to 20 up and down converters in 3U. UP-DOWN-ATX-VF can be used with three different single slot frame rear modules to access the inputs and outputs. The default rear module is the VR01 which provides three feeds of each output. Giving three feeds of the first output and two feeds of the second, the VR03 rear module includes relay bypass protection on power failure or board removal, giving the system an extra layer of security and preventing signal loss – most useful for those using the first output bank to distribute multiple unchanged copies of the input. The single slot VR14 is designed for those using a fibre input or output option (the FIP-VF, FOP-VF and FIO-VF). It provides two feeds of Output 1 and three feeds of Output 2, along with a copy of Output 1 on fibre when using the FOP-VF or FIO-VF fibre options. The Vision rear modules slot on at the back of the frame and typically feature BNC, Micro BNC, D-Type and LC fibre connectors. For more visual technical information, download the UP-DOWN-ATX-VF block diagram.